"Hi! I'm Rin! I'm kinda nervous about being made into a figure..."
From the anime series featuring the new hero(?) 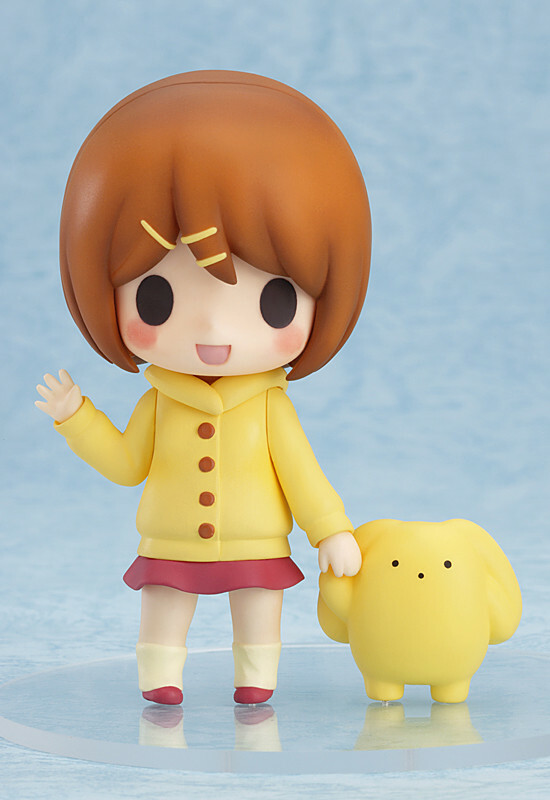 wooser, 'wooser's hand-to-mouth life' comes a Nendoroid of the carefree Rin together with wooser himself! 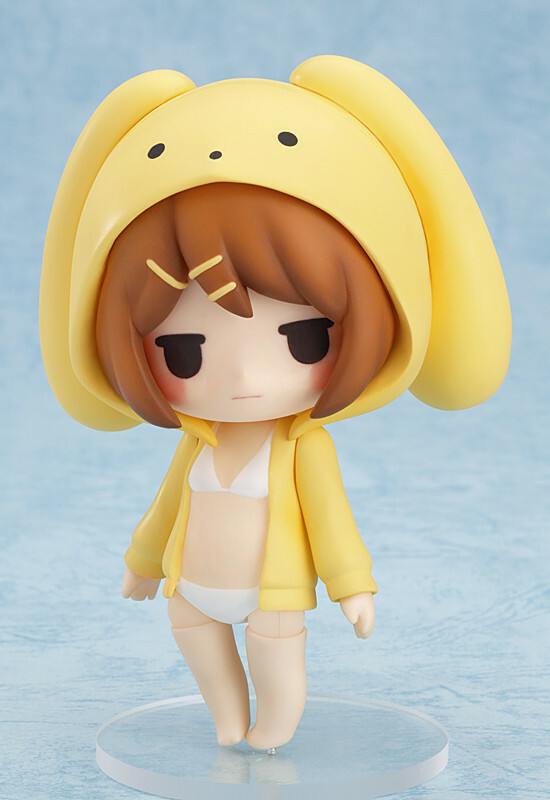 Rin is wearing her wooser hoodie, but she also comes with an alternate body part that lets you display her in a swimsuit! 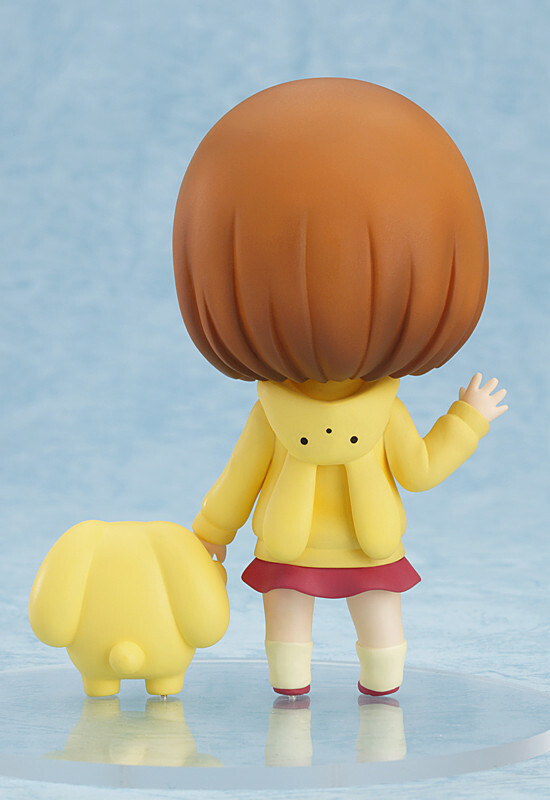 A glaring expression is also included to recreate scenes from the episode where wooser considered a glare from a girl to be a reward for his work! 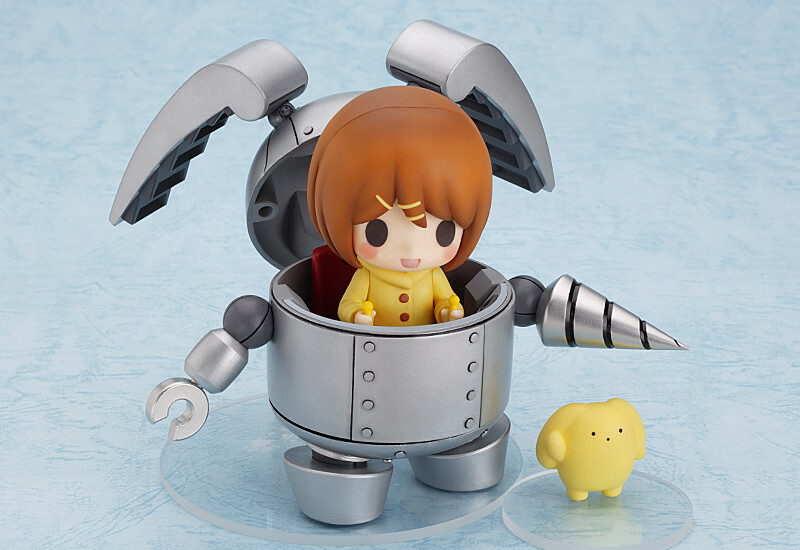 Mechawooser, the robotic wooser that destroyed an entire city in search of uniforms, is also included as an optional part - and it can even open up so that someone can ride inside! Also don't forget that wooser himself is included in the set - it's a huge set for fans to really enjoy the world of wooser! Painted ABS&PVC non-scale articulated figure with stand included. 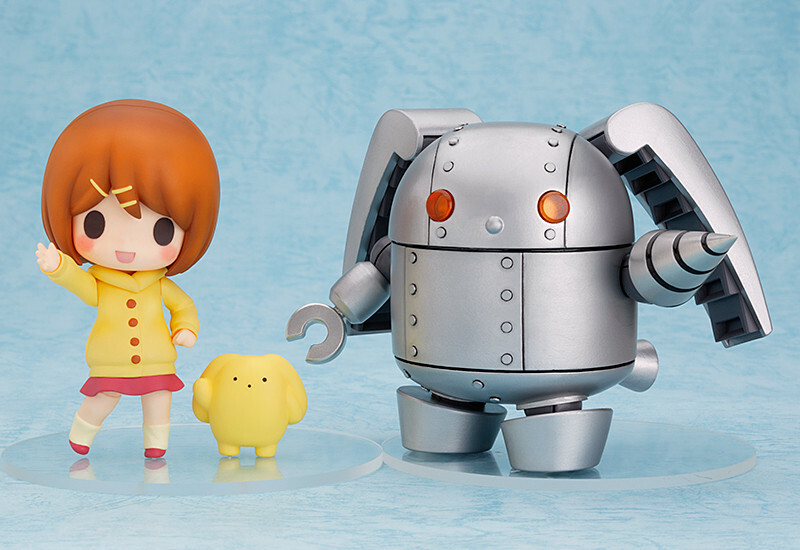 Rin approximately 100mm in height / Mechawooser approximately 90mm in height (not including ears) / wooser approximately 25mm in height. Orders can be placed between the 18th December 2012 (Tue) from 21:00 until the 16th January 2013 (Wed) at 21:00.